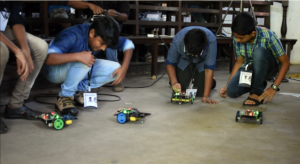 Centre for Integrated Robotics Research and Development – CIRRD is an organization that aims to see every Robo-aspirants dream come true. 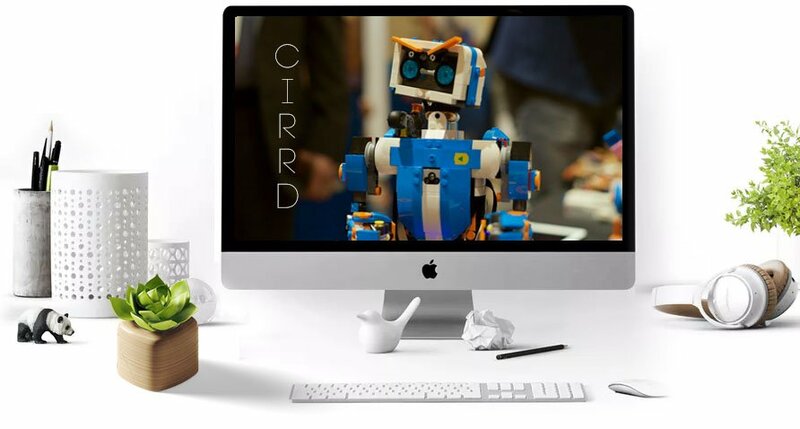 We at CIRRD are passionate about robotics and the future it holds for the world we live in today, thus we’re here to be a platform for quality robotics education at the fundamental level as well as make it as entertaining and interactive as possible. 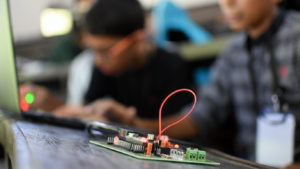 We believe that every student who hopes to build their own robot deserves access to the education and hands on training required for the same and we’re here to help make that happen. PICK THE RIGHT PLATFORM ! Robotics is a platform that will help students build up many skills that will provide beneficial in the world today. So selecting the best course is critical. We at CIRRD help each and every student to draw their future right from the starting point. We serve to help mould your future and guide you in the best way possible. 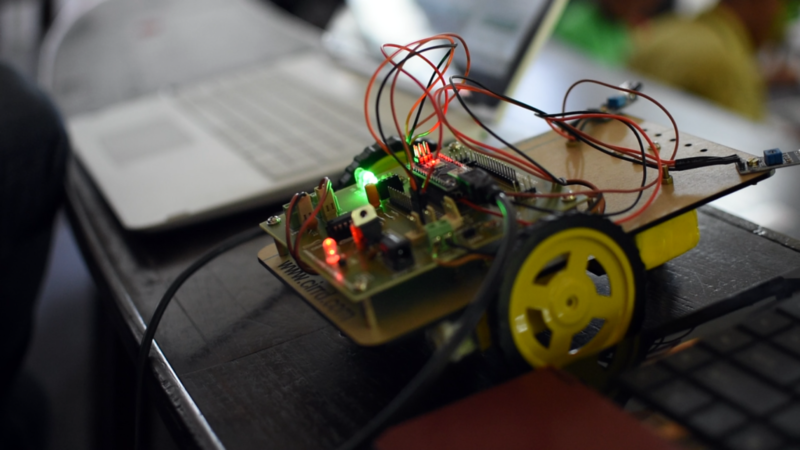 We provide DIY Robotics kits as well as training CD’s so that you can build your own Robots. The kits contain all the necessary components to set up your projects. 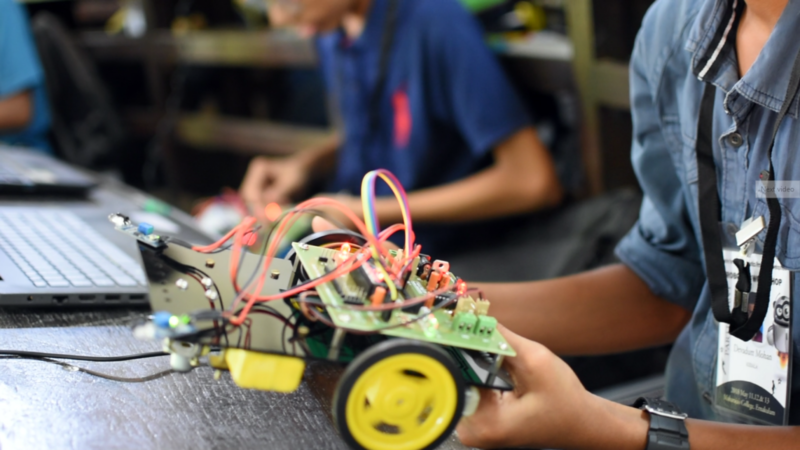 We also provide online classes to train you in robotics so that you can do them yourself at your home. Robotics is a field where people communicate with robots through programs and code. 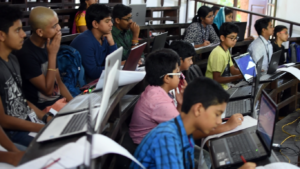 So it is necessary for a beginner to understand the basics of coding and programming languages. 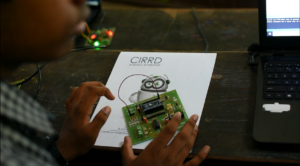 Master the basics of coding with CIRRD and explore the future. 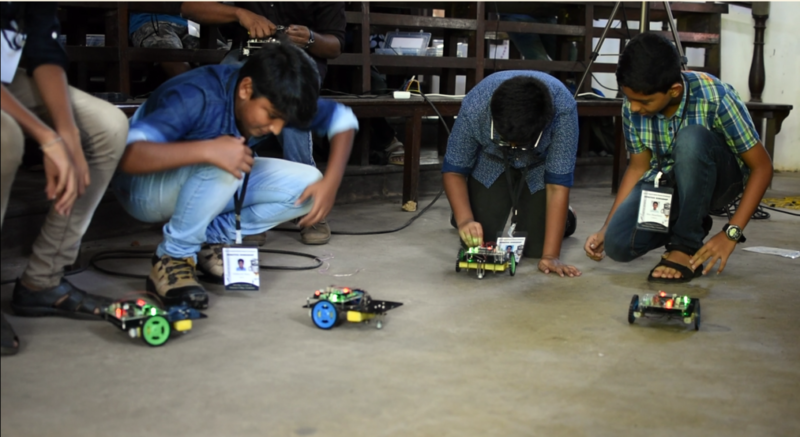 From research work to robotics training workshops, to providing DIY robotics project kits and more, we at Centre for Integrated Robotics Research & Development – CIRRD have staff from varying fields of expertise and strive to make our mark in the field of robotics with every aspect possible. Our R&D team works to pioneer new inventions that will be beneficial to society everyday. 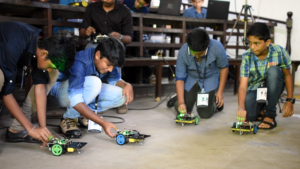 We also conduct internship programs for college students, online and offline workshops for students from all over the world and aim to be a platform for quality robotics education for all Robo-aspirants out there who are eager to get started. 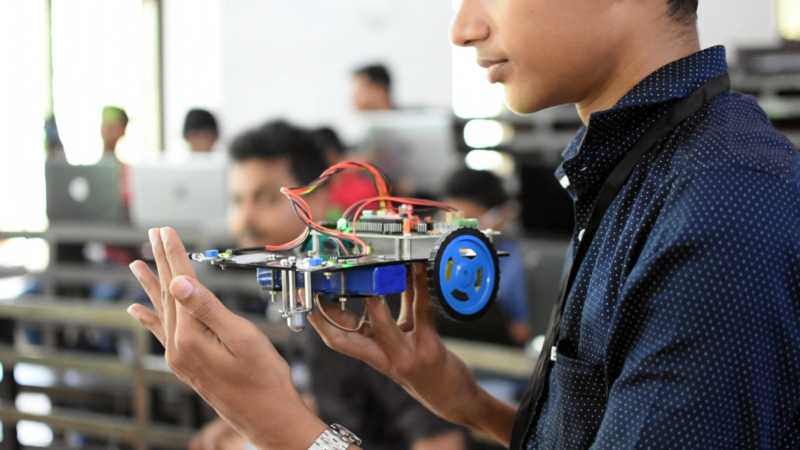 Centre for Integrated Robotics Research and Development (CIRRD) is proudly announcing Gesture Controlled Robot workshop for summer vacation 2019. Building a robot on your own is probably the coolest thing you can ever imagine, as a student! 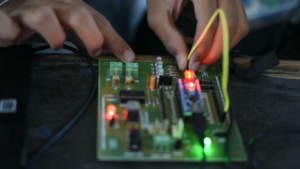 What if you could control it with your simple hand gestures? That’ll be super cool, right!? Here comes CIRRD with such an opportunity for you to learn & build a ‘Gesture Controlled Robot’ on your own, using a DIY kit. Even if you haven’t had any previous exposure to arduino programming or electronic circuit projects so far, never mind it, let’s begin from the very beginning! 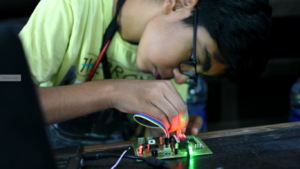 You will have webinars on weekends, through which you will be learning all the basics of arduino programming, circuits, and assembly. 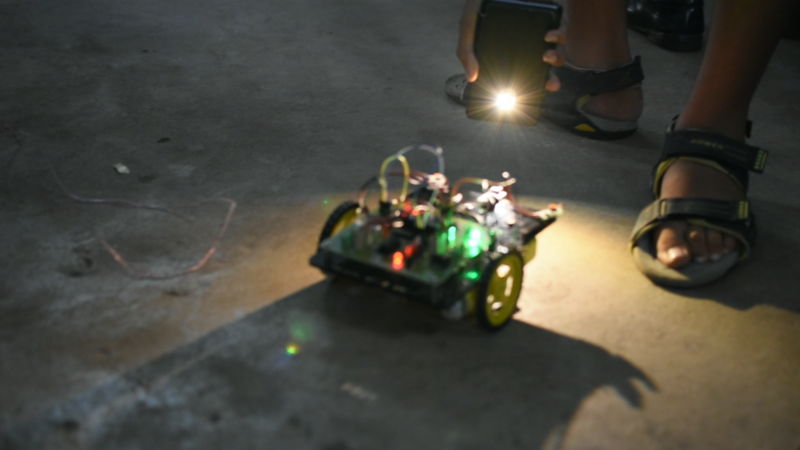 If you wanna build this robot, enroll now! 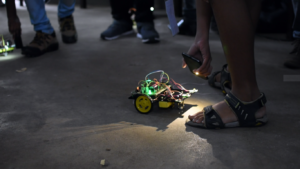 Our staff here at CIRRD are well versed in a number of courses within and related to the field of Robotics. 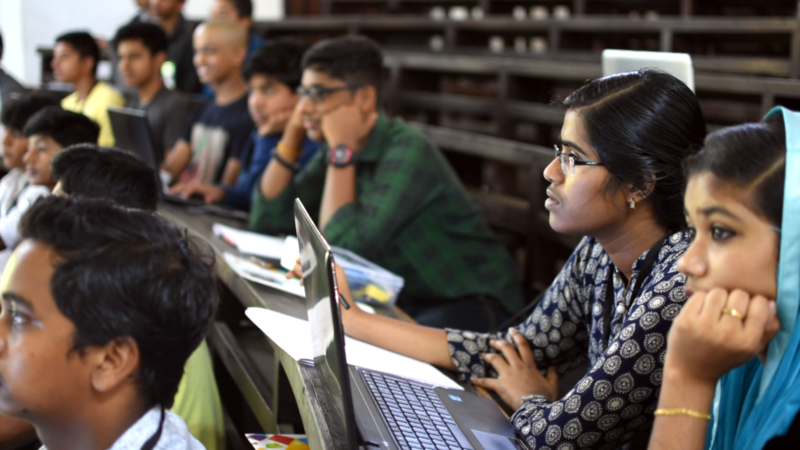 At present we offer the following workshops for students (above class 5) at the school level which we will conduct within the school premises to help in better equipping students to face the real world. 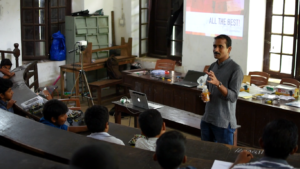 Our workshops focus on both teaching theoretical aspects as well as imparting the hands-on skill necessary to step into the field. 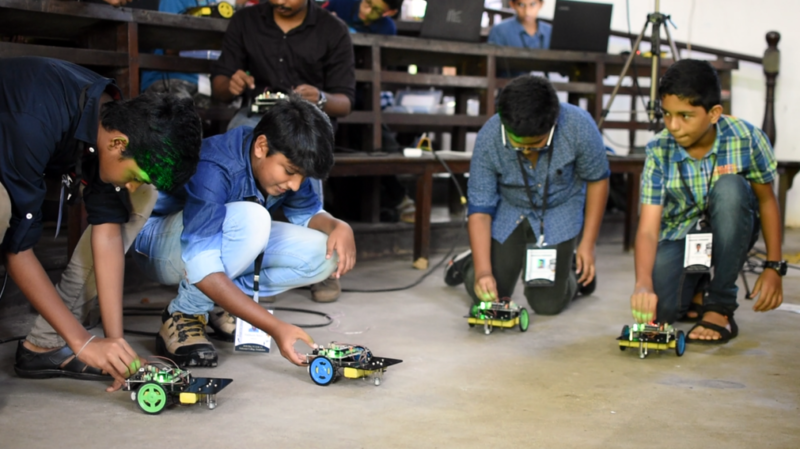 Robotics is an interdisciplinary of Engineering and Science that incorporates Hardware and soft-ware elements to create machines that can operate autonomously. Design thinking is the backbone of all innovative product development. A cycle of the design thinking process engrosses the complete product from empathy to prototype. Students will get an idea about the concept of IOT and they will do a hands-on project on controlling home appliances from anywhere in the world using mobile applications. 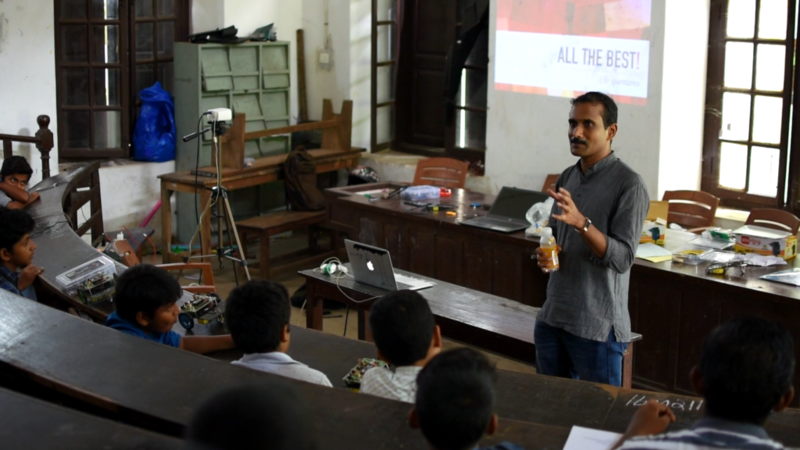 Startups are now focusing on space science with cheap and reliable nano satellites. 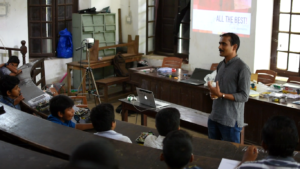 Nano satellites will have a market of around 40000cr within the next five years. 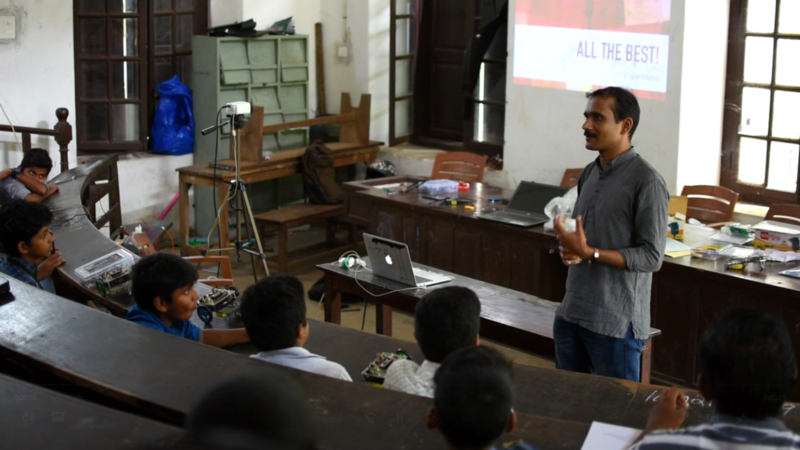 Students will be able to understand the working of drones and its flight control techniques. 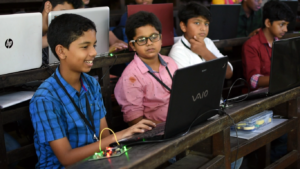 They will assemble a fully functional drone using using basic building blocks. 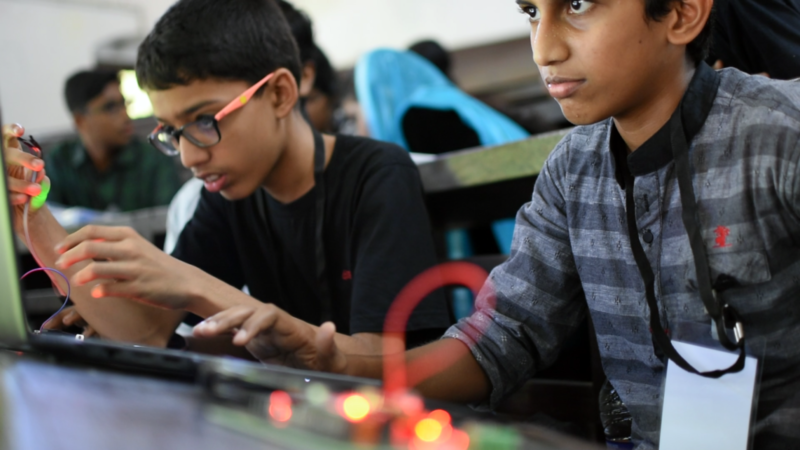 MIT App Inventor is a rapid prototyping tool used to create Android applications. Android OS has a market share more than 80%. High penetration rate of Android platforms gives unlimited opportunity for App developers. 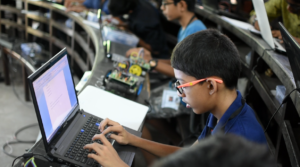 CIRRD is happy to announce the launch of our Five months online robotics training course for School Students, which is scheduled to be commencing by 2nd week of April, 2018. The classes are conducted online through webinar application and will be taking place on evenings of Saturdays and Sundays once the course has begun. Classes will be taken for Juniors [classes 5,6,7], Seniors [classes 8,9,10] and Super Seniors [classes 11&12] categories separately. 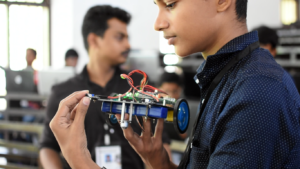 The course includes supportive theory classes and hands on training sessions where students engage themselves in making real robots by just sitting at their home! We at Centre for Integrated Robotics Research & Development – CIRRD offer internship programmes for college students as well as workshops in various fields to help develop their technical and creative skill which can prove a huge benefactor when it comes to placements in core companies. At present we offer the following workshops to be held on campus. Our workshops emphasise the importance of both the theoretical as well as practical apects and hands-on training pertaining to each course..
Embedded ‘C’ is the most popular programming language for developing electronic gadgets. It provides a clear understanding of the role of programs in the design. Any queries ? Feel free to contact us. Powered By : Edu Mithra Intellectual Services Pvt. Ltd. All rights reserved.